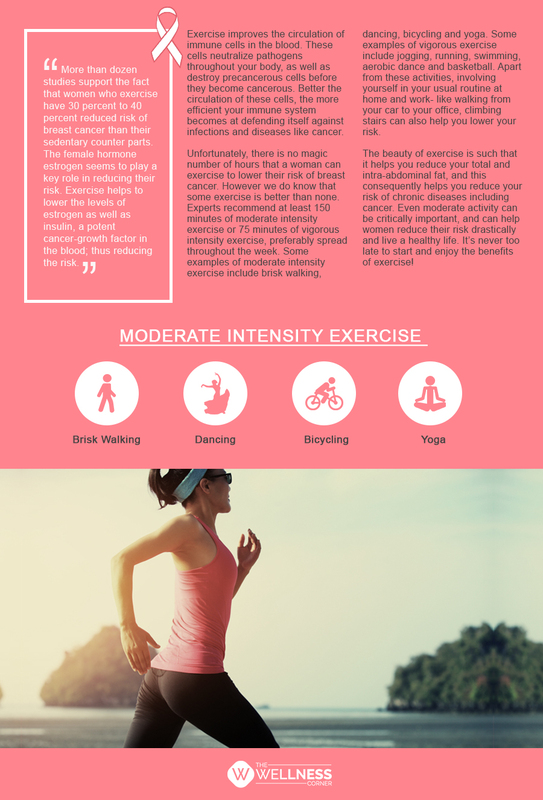 Lower your risk of breast cancer. Get moving! Every year, February 4th is dedicated as world cancer day. The theme for this year runs on a simple motto- We can. I can. Delving deeper into this theme, we realize that the importance of each individual’s role in this fight against cancer; may it in form of an individual taking measures to cut down the cancer risk, or may it be a group of individuals spreading awareness about the same.